Ascend owners Paul Guarino, Aaron Gilmore and Alex Bernstein. Photo by Brian Conway. 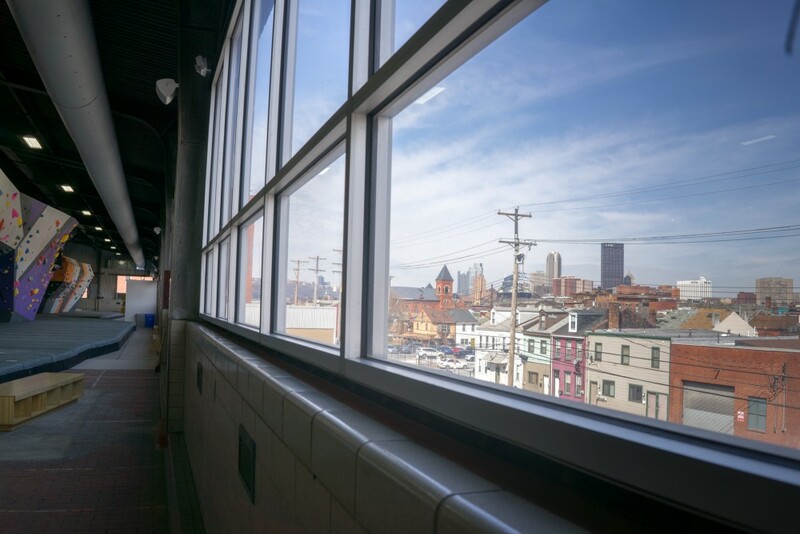 Now, thanks to Bernstein and co-owners Paul Guarino and Aaron Gilmore, the rumors are true: Pittsburgh has a brand new climbing gym, Ascend, located on the second floor of the former Duquesne Brewery bottling facility in the heart of the South Side. Ascend is only the second climbing gym within city limits, after The Climbing Wall in Point Breeze. The project took off in earnest more than five years ago. 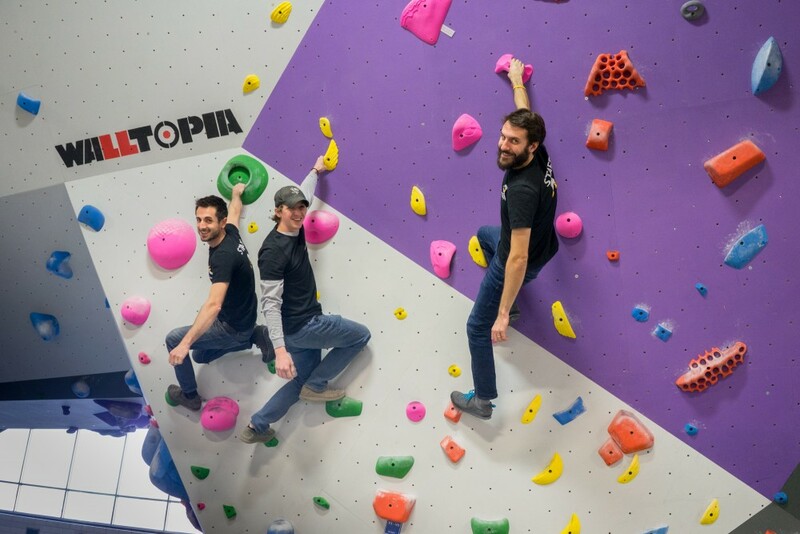 Bernstein, a Squirrel Hill native, was inspired by state-of-the-art climbing gyms elsewhere in the country and wondered why the same didn’t exist in Pittsburgh. Turns out it’s not super easy. After years of hunting and false starts in the Strip District and other spots in the South Side, the owners eventually discovered and fell in love with their current location, right underneath the Duquesne Brewery Clock. View from Ascend. Photo by Brian Conway. “Our jaws dropped when we first walked in here,” says Bernstein. 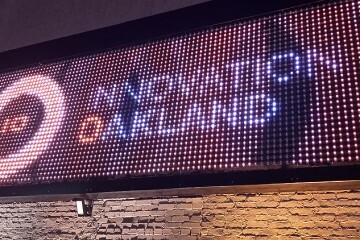 The 27,000-square-foot facility boasts 24-foot high ceilings and a wide window bank that allows for stunning panoramic views of South Side, Downtown and Oakland. Ascend is a “bouldering-centric” facility—the type of climbing where a person clambers up walls unrestrained using only the hand and footholds in the wall—with some top rope climbing available. There is also cardio equipment, some free weights, a yoga studio, locker rooms, small cafe and free wi-fi on site. A membership to Ascend costs $70 for 30 days of unlimited climbing and use of exercise equipment. A $110 premium membership includes all that and unlimited access to the 30+ yoga classes offered on a weekly basis. Ascend is located at 2141 Mary St., in the South Side. 7 a.m.-11 p.m. Monday-Friday; 10 a.m.-8 p.m.Saturday-Sunday.